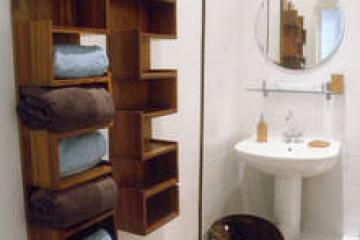 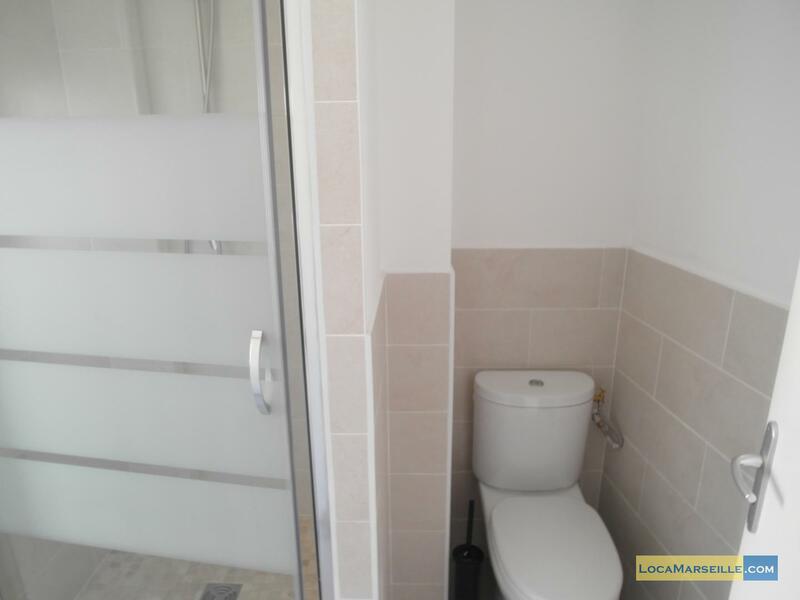 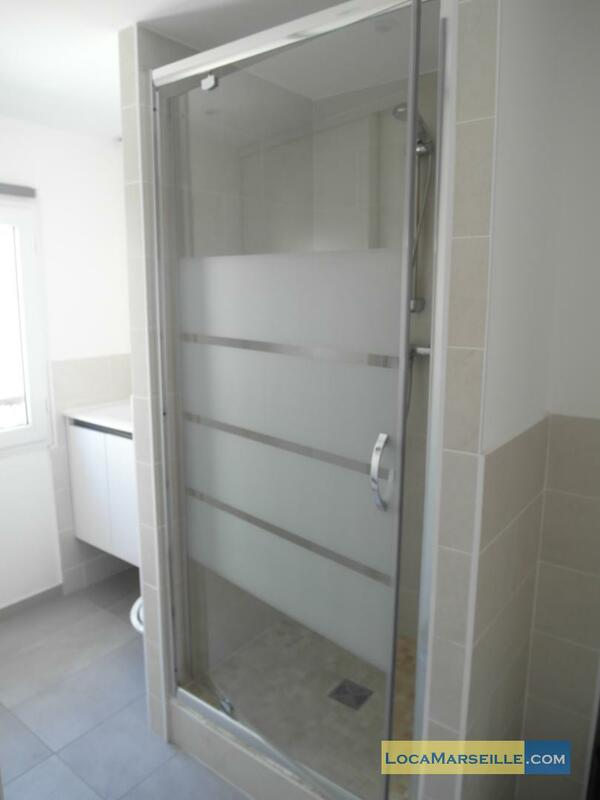 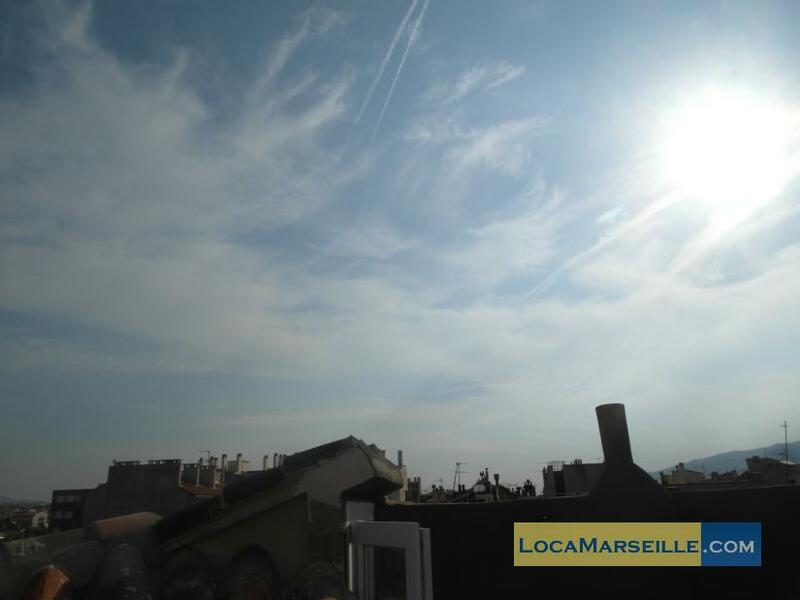 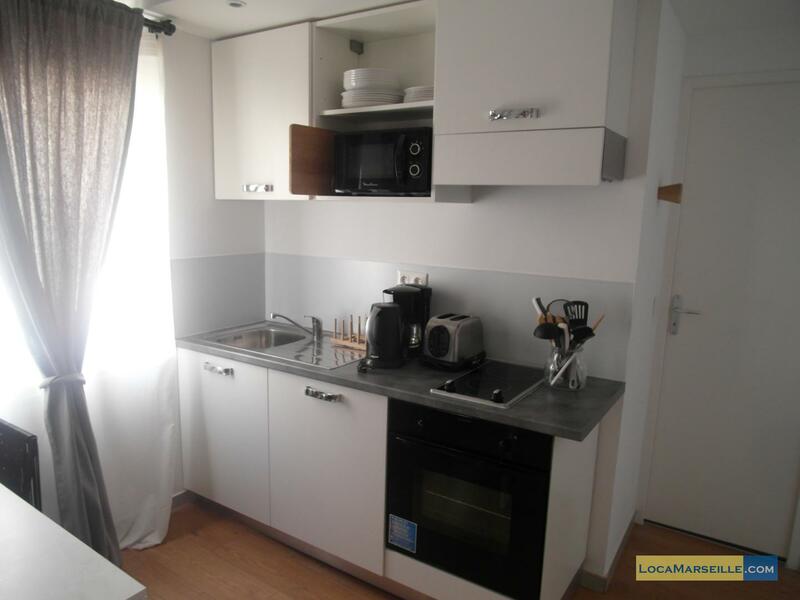 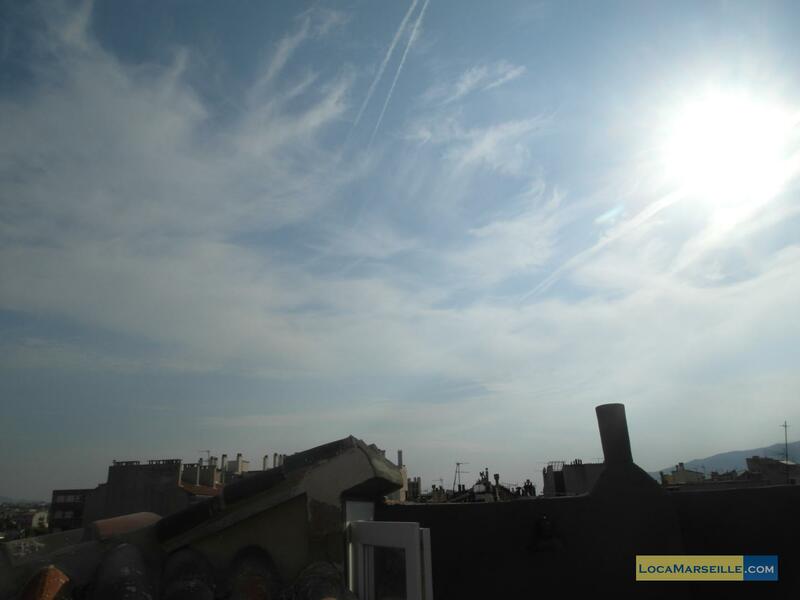 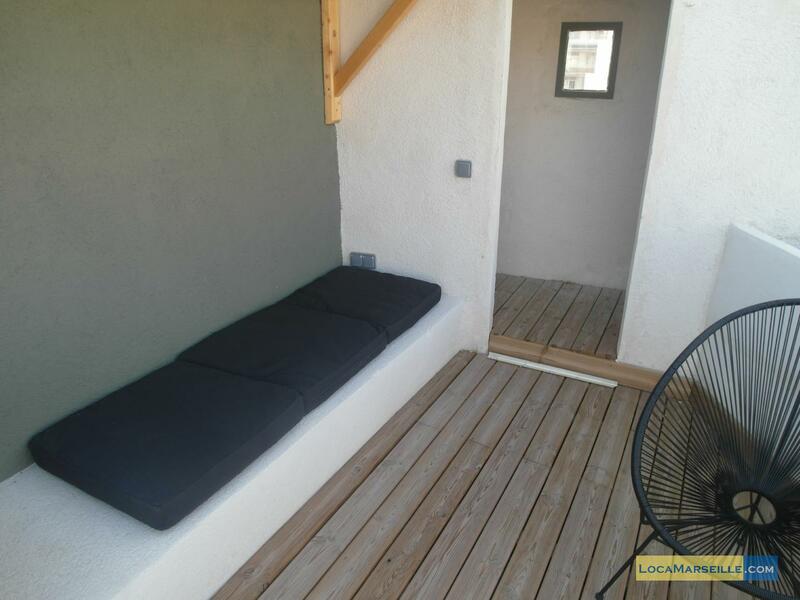 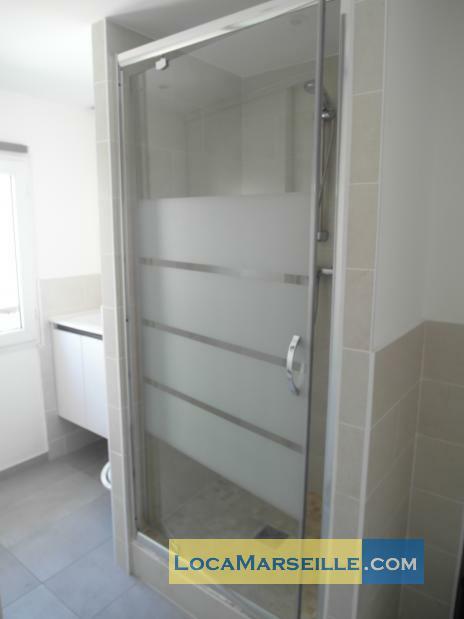 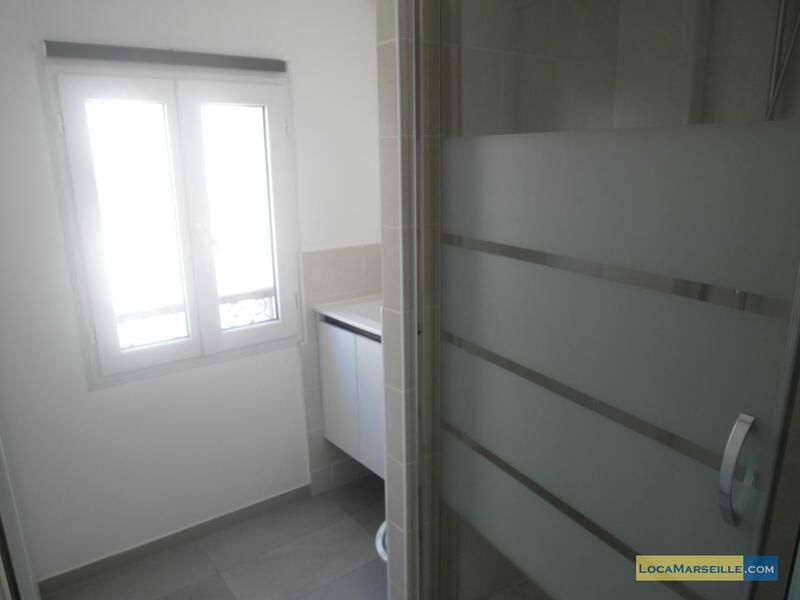 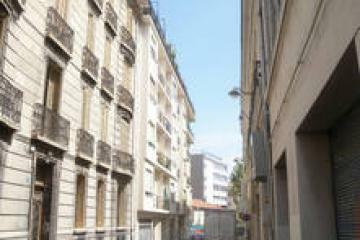 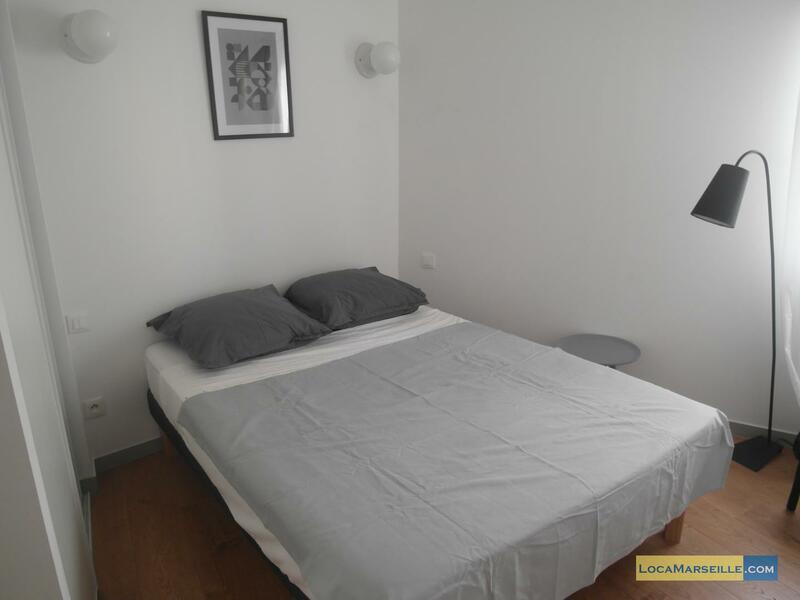 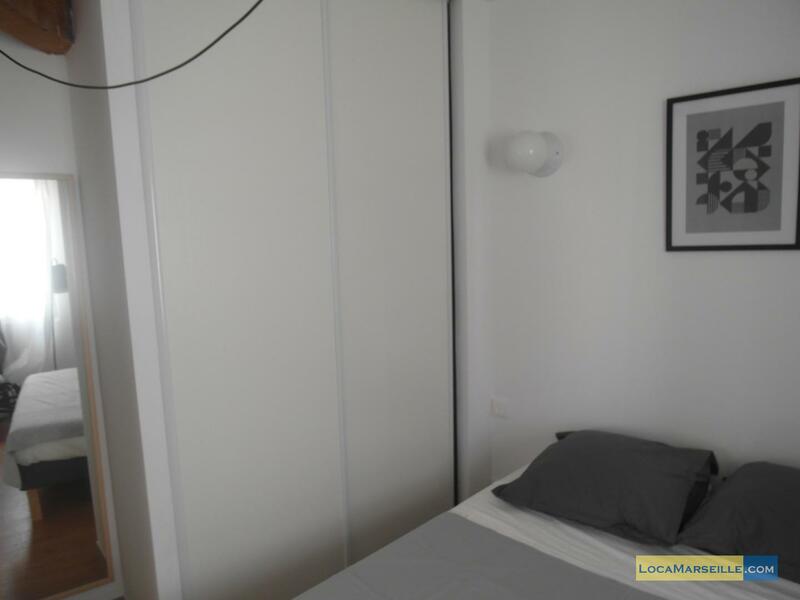 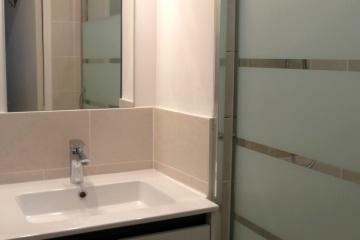 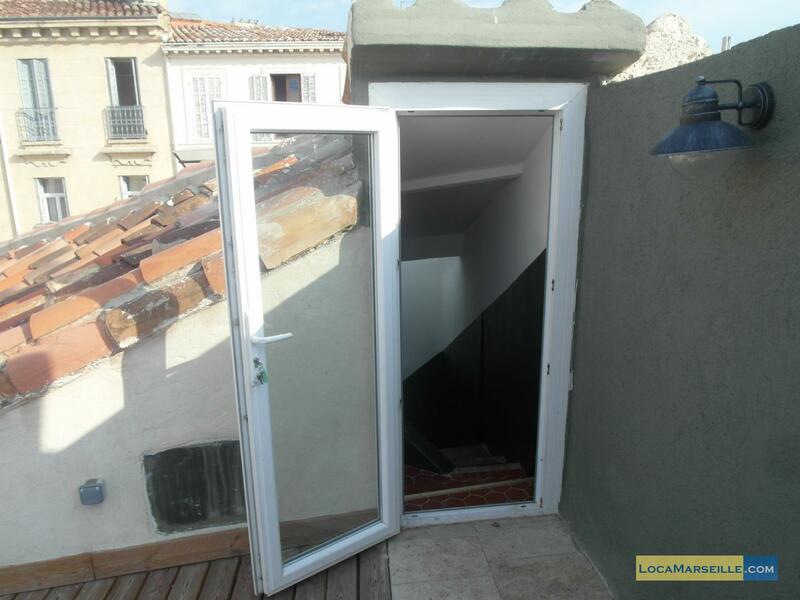 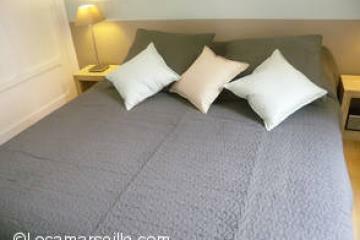 Furnished one bedroom with terrace to rent in Marseille Castellane. 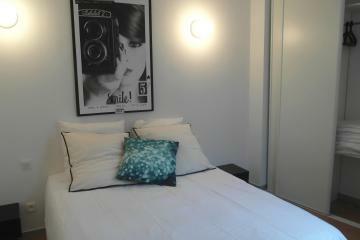 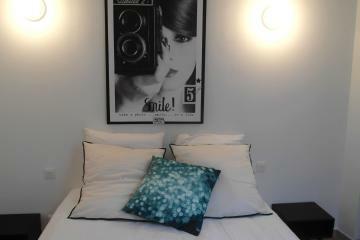 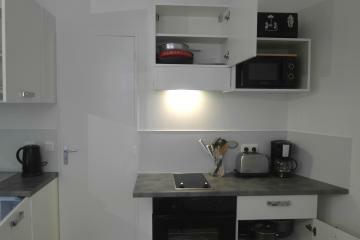 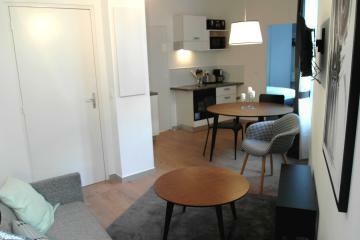 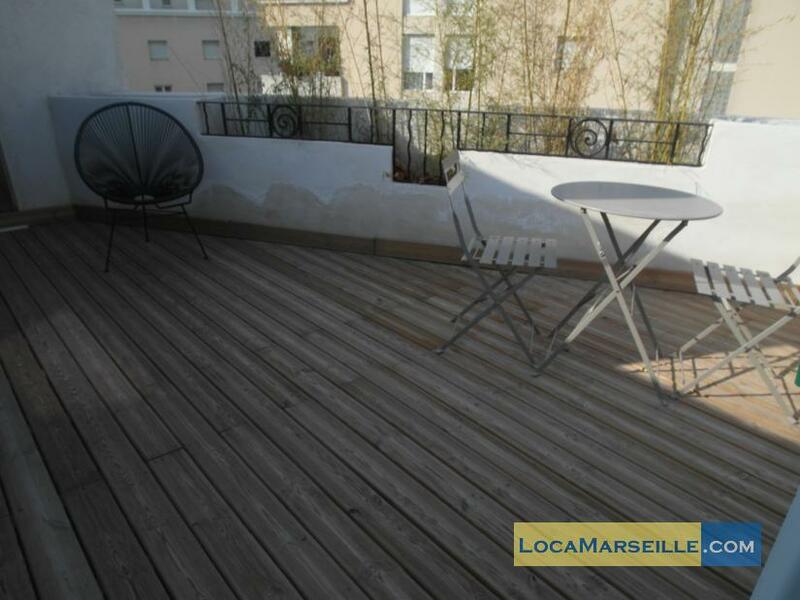 apartemnt furnished to rend in Marseille, brithg with terrace ! 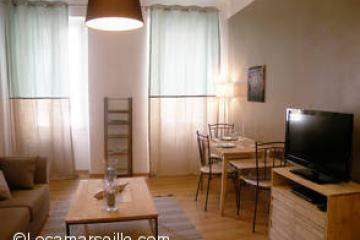 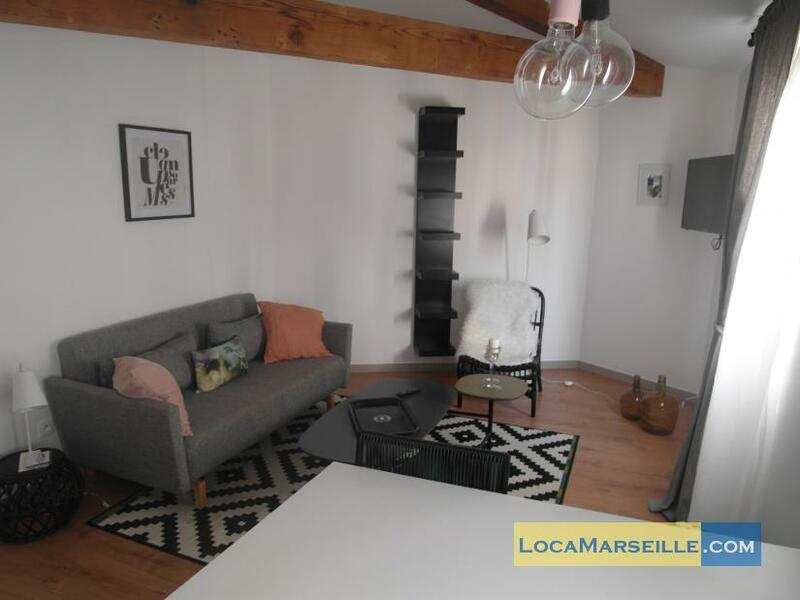 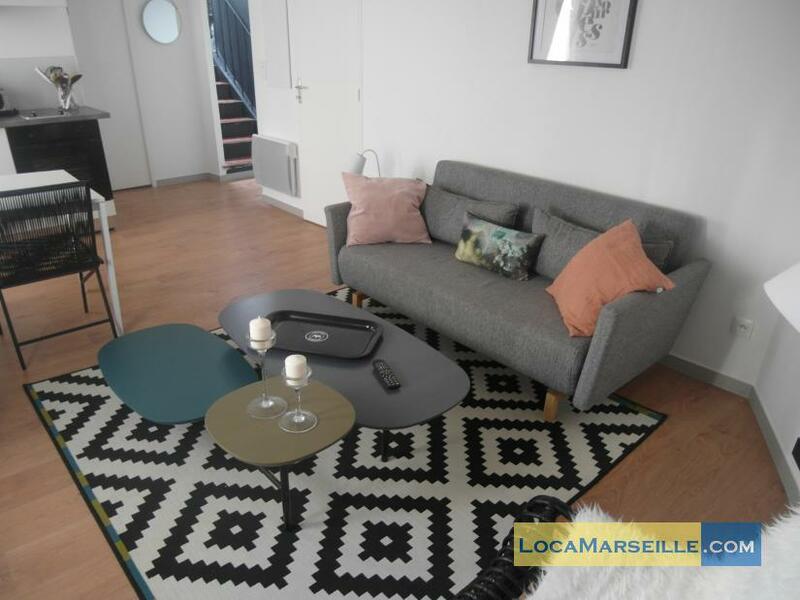 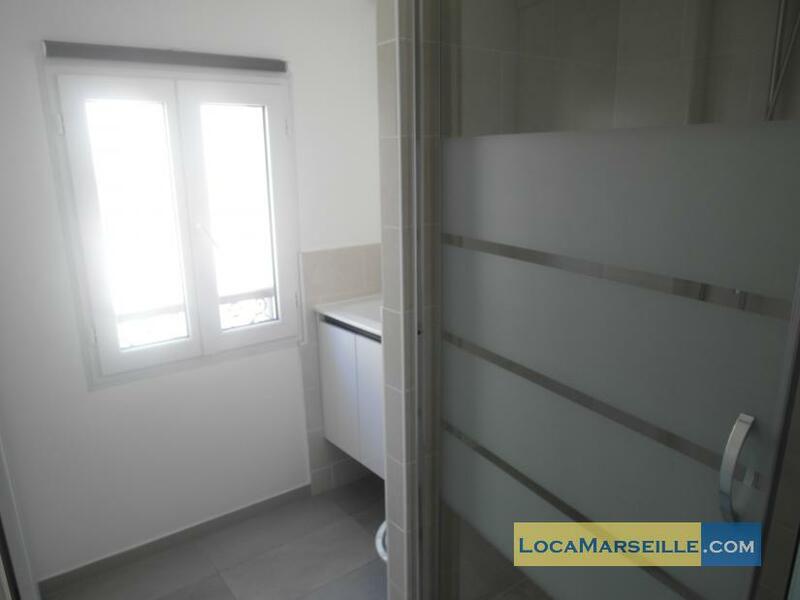 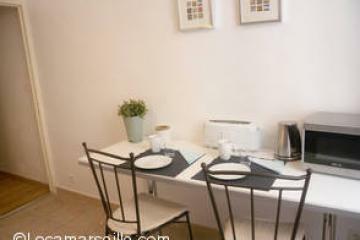 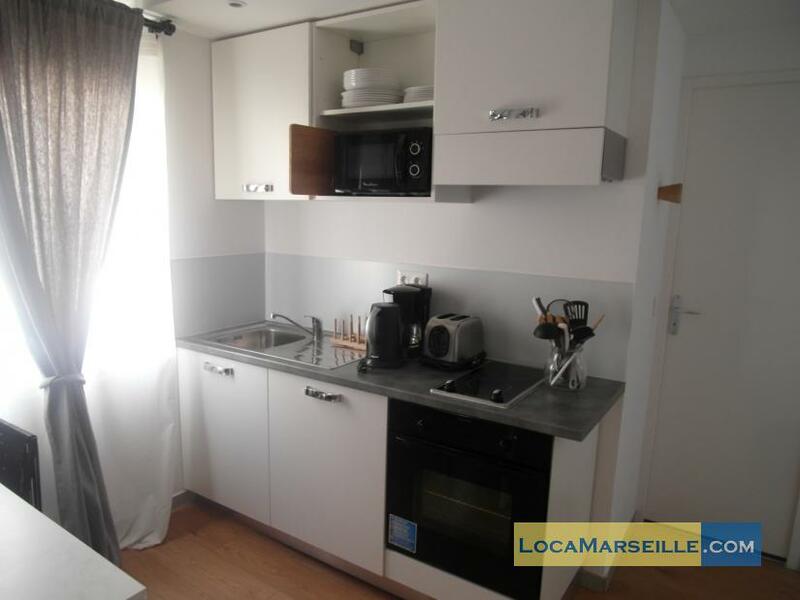 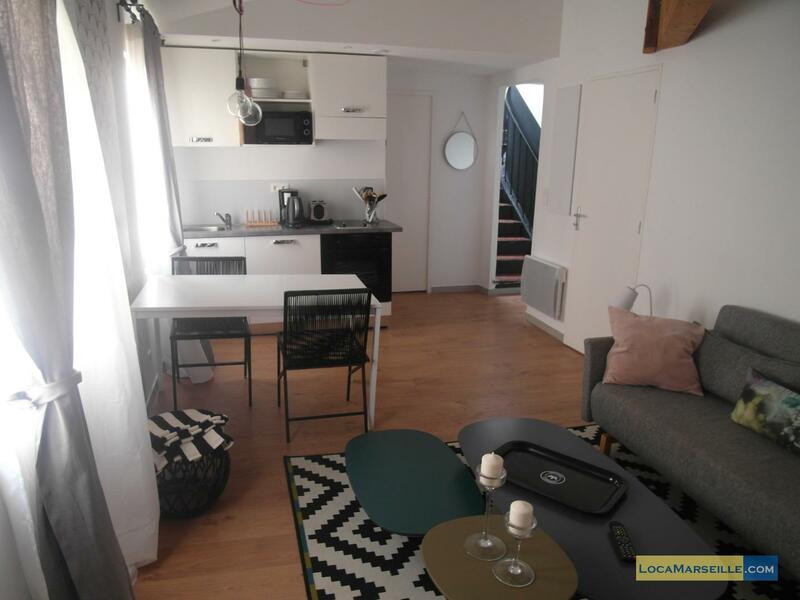 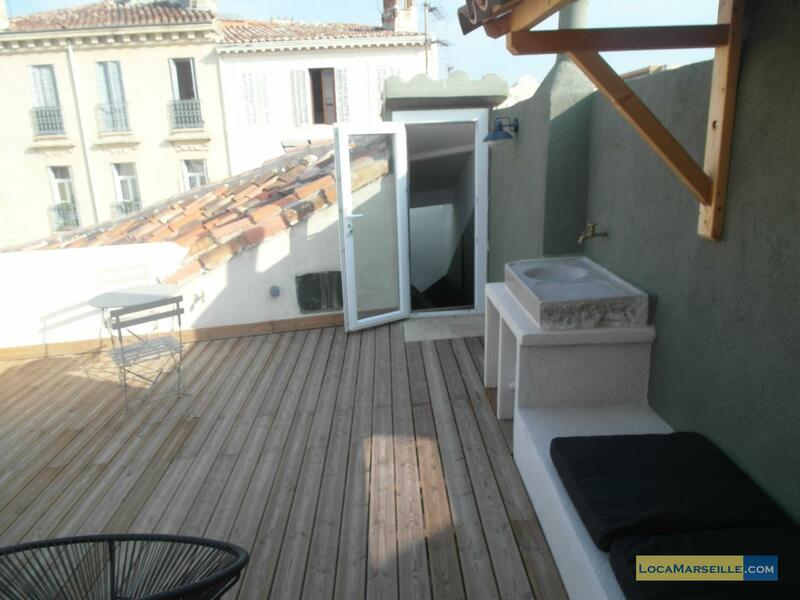 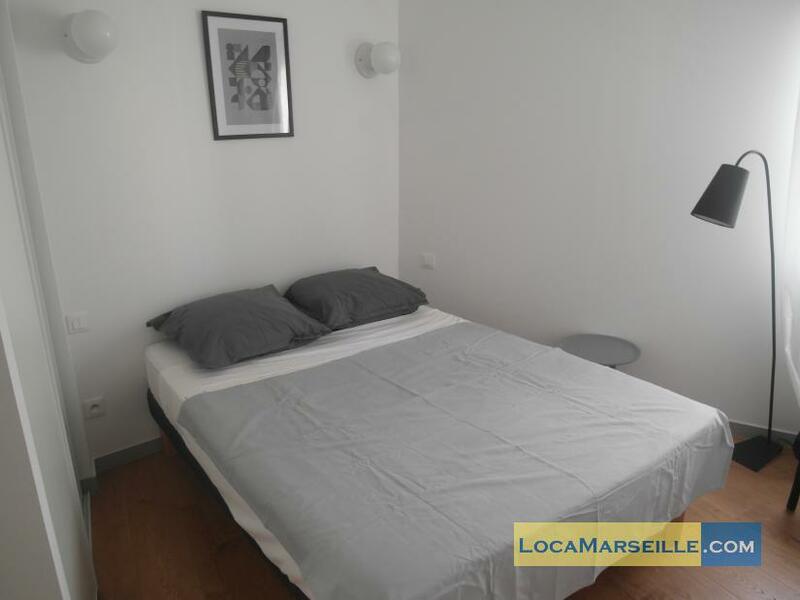 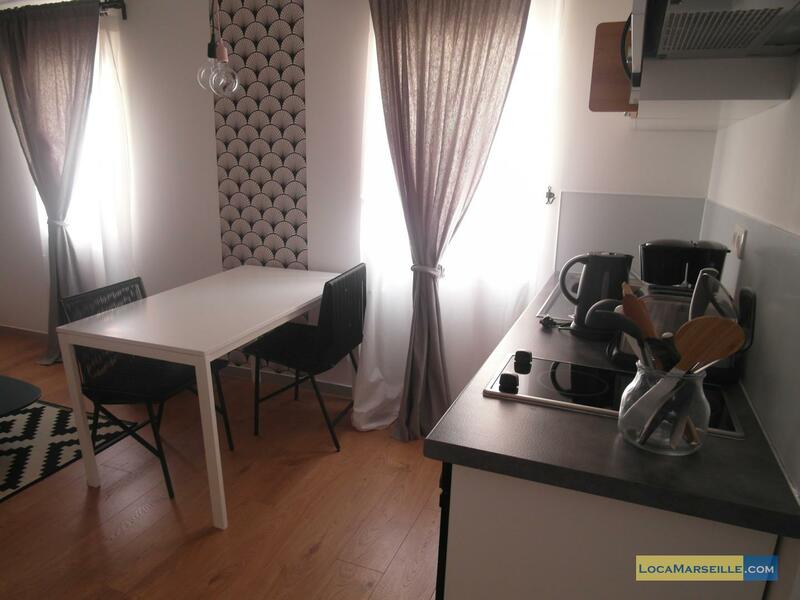 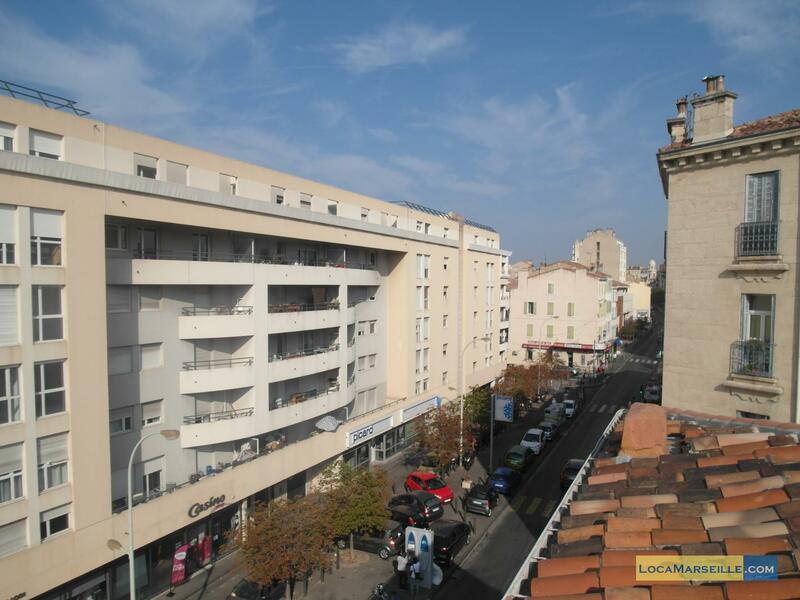 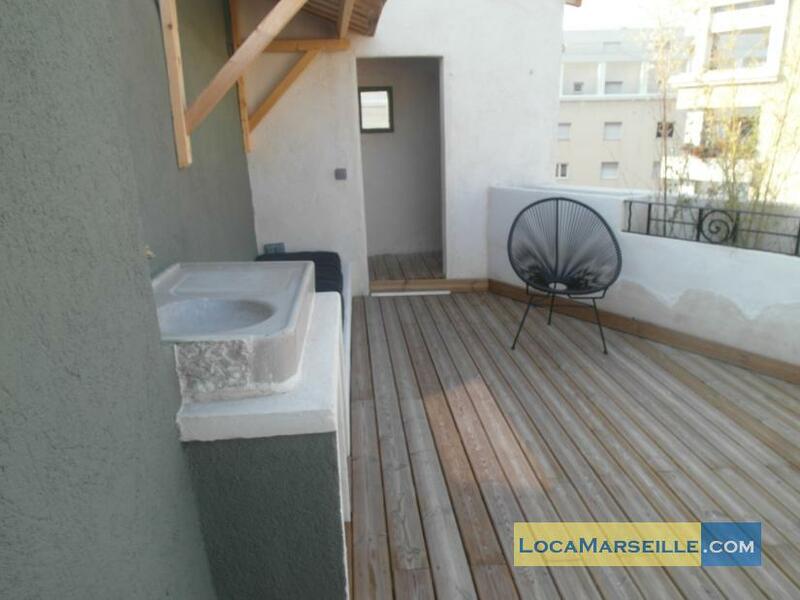 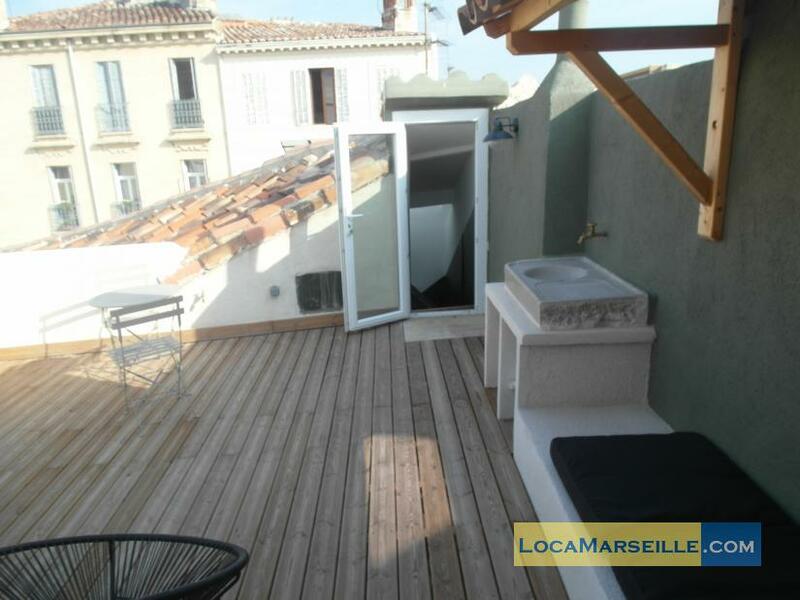 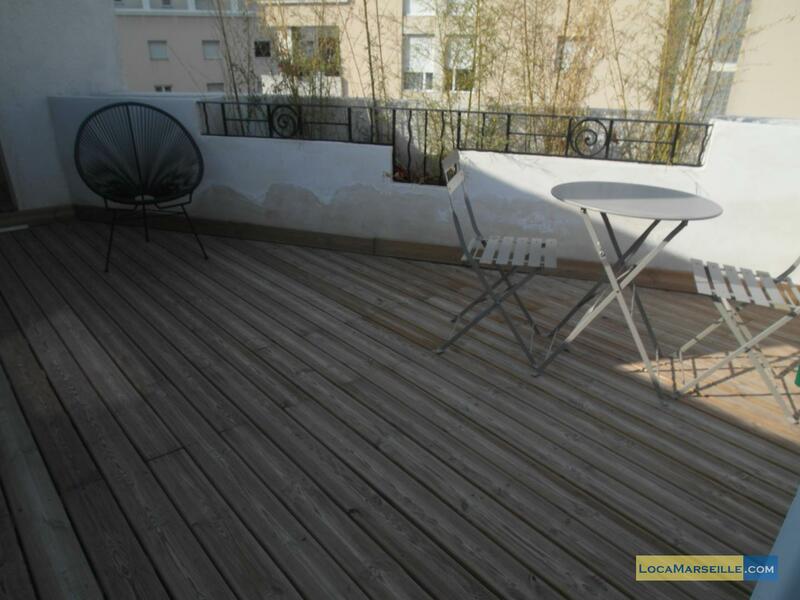 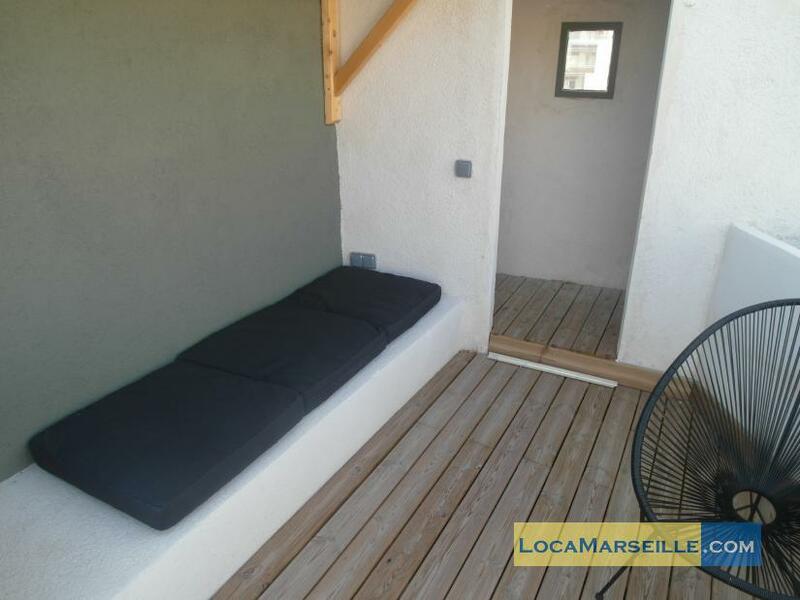 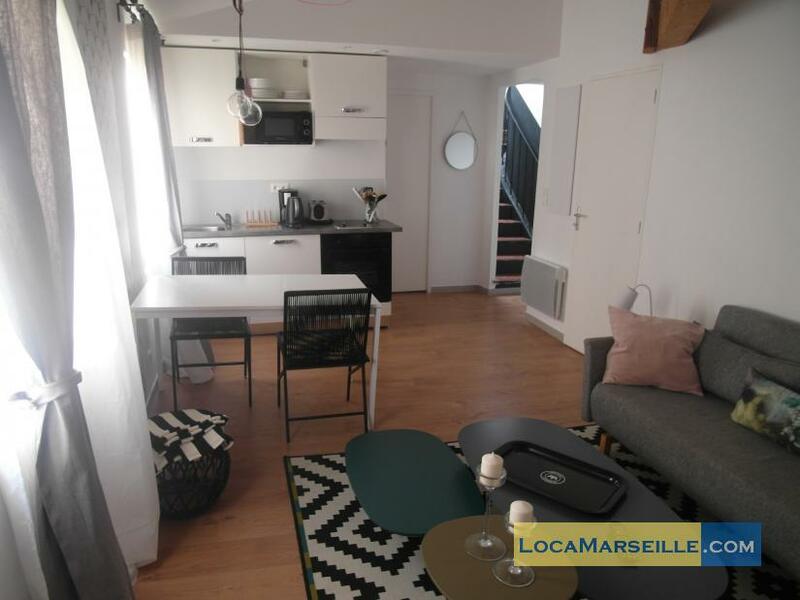 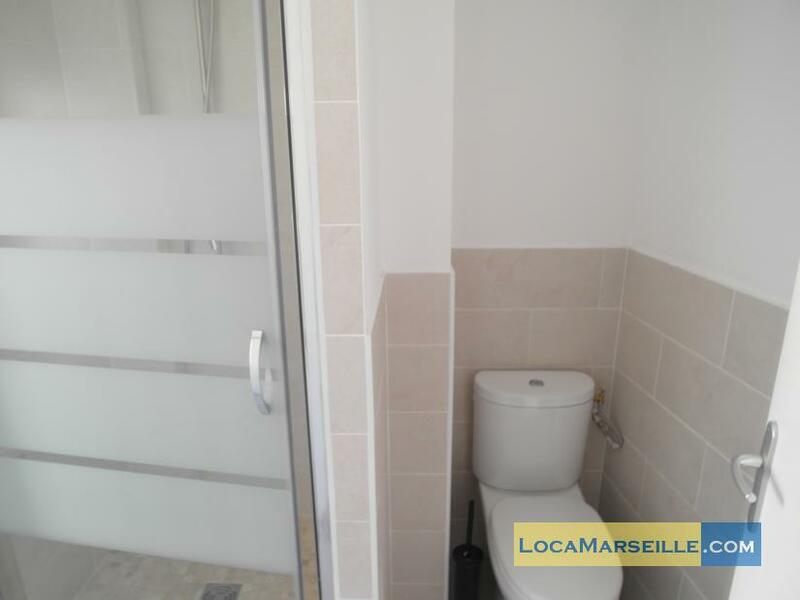 T2 with terrace furnished rentals in Marseille in the Lodi neighborhood Baille. 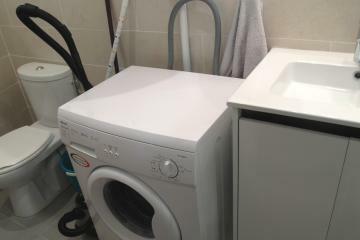 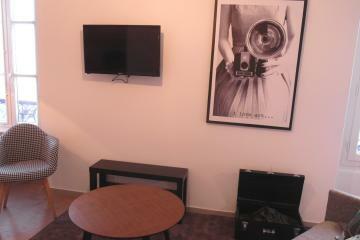 This apartment is fully equipped with wifi, flat screen TV, washing machine .. 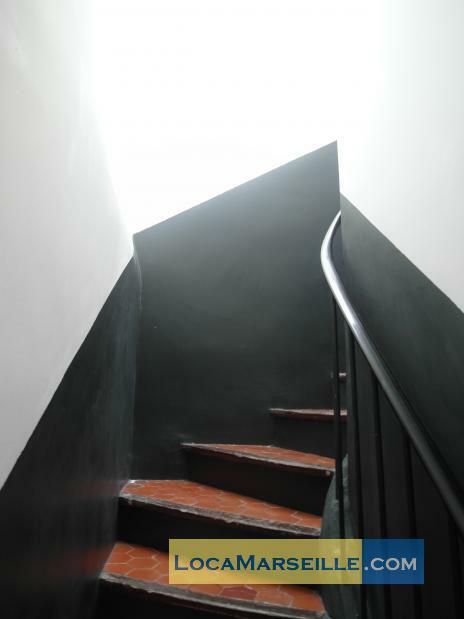 It is on the third floor of a building renovated in 2016. 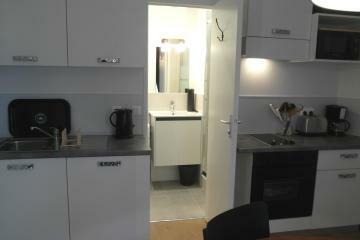 It consists of a nice living room with sofa and kitchen, a bedroom with wardrobe and a bathroom. 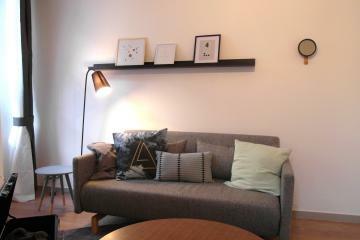 The decoration, very current and prosecutors make a warm home !! 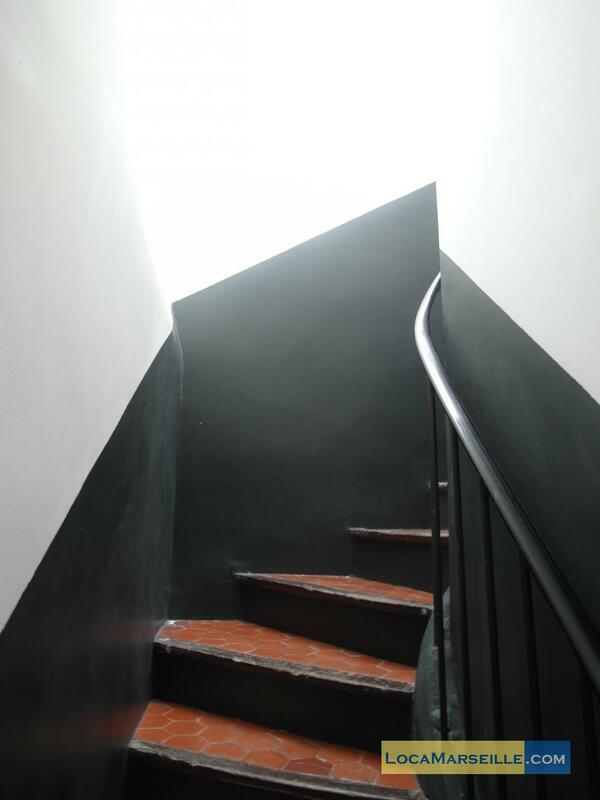 Upstairs, a lovely terrace with garden furniture await you for lunch in the sun !! 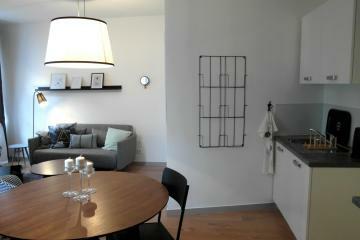 The neighborhood is very nice and very convenient to go. 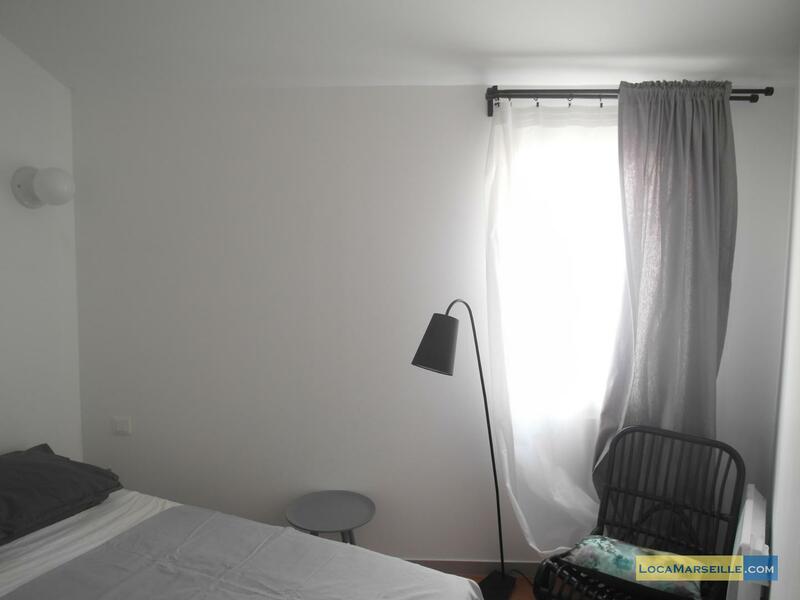 Bd Baille is 2 minutes walk, Lodi Street comes in small shops of all kinds ..
3 th floor, without Lift, entry code security system, 1 bedroom Appartement, furnished, Approx: 30m² / 323 Sq.Ft.